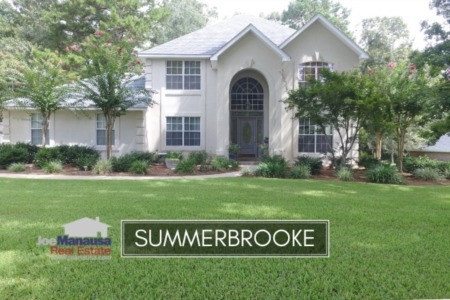 Summerbrooke and Ox Bottom Manor are two popular neighborhoods in the 32312 zip code and sit in the heart of the Northeast Tallahassee real estate market. These subdivisions offer brick and stucco executive homes ranging in price from just below $300,000 to some that exceed $600,000, and right now buyers are jumping on aggressively priced homes. 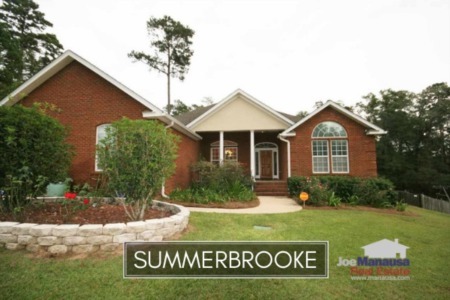 In fact, one half of the twenty two homes for sale in Summerbrooke and Ox Bottom Manor are already under contract, which is very strong when compared to other Tallahassee neighborhoods. The following map and list of homes are the most recent listings in Summerbrooke and Ox Bottom Manor. 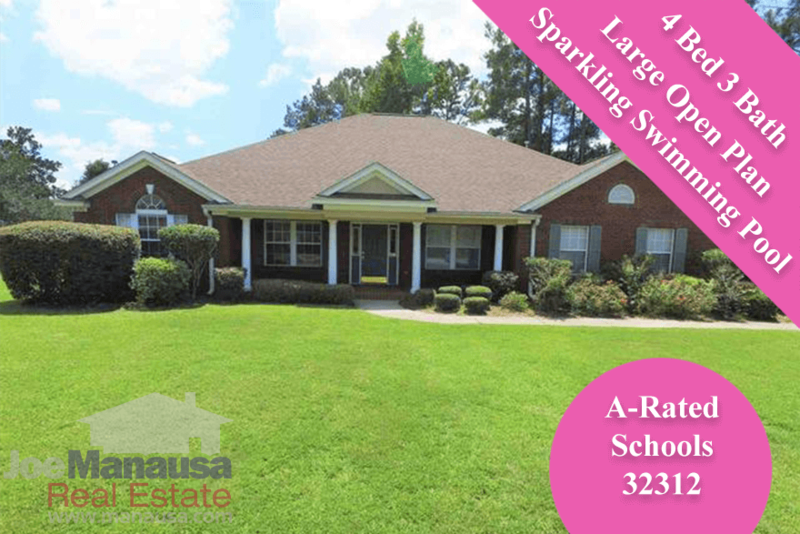 Following in this report are graphs showing trends in home prices, home values, and home sizes in Summerbrooke and Ox Bottom Manor, as well as a list of all closed home sales going back to 1991. It is important to note that the narrative contained below is through the end of the year for all previous years, and through the first week in October in 2016. The graphs and the closed sales table will be continuously updated into the future (meaning bookmark this page if you always want to know the current status of homes in Summerbrooke and Ox Bottom Manor). Average home prices have risen nearly 8% thus far in 2016, yet homes are still very favorably priced when compared to the peak of the housing market in 2005. With only 50 closed home sales as of the writing of this post, 2016 will look fairly typical when compared to homes sold in Summerbrooke and Ox Bottom Manor for the past ten years. There were significantly more homes sold from the mid 1990s through 2003, as those were the years most of the homes were built in Ox Bottom Manor and Summerbrooke. Summerbrooke and Ox Bottom Manor home values have jumped 9% so far in 2016, which makes a lot of sense when compared to the high demand for these neighborhoods. The average value of a home sold in Summerbrooke and Ox Bottom Manor has been $133 per square foot in 2016. This is up 12% above the bottom reached in 2012, and 17% lower than the market high set back in 2006. We will see values continue to improve here for the foreseeable future. The average home size sold in Summerbrooke and Ox Bottom Manor typically falls in a range of 2,600 to 2,900 square feet, and this year is we've seen the smaller homes selling. The 50 home sales thus far in 2016 have averaged 2,639 square feet. The following list shows more than 2,700 home sales in Summerbrooke and Ox Bottom Manor going back to 1991. I hope you enjoyed our October 2016 update on home sales in Summerbrooke and Ox Bottom Manor, please feel free to drop me a note if you have questions not covered in this report.